As part of their everyday work bricklayers must be able to interpret technical documents, understand the properties of various mortars/building materials, and understand the basics of health and safety on site. Brickwork Level 2 has been adapted from John Hodge's classic Brickwork for Apprentices - the established textbook on brickwork for generations of bricklayers. Now in full colour, this new book has been tailored to match Level 2 of both the Construction Alliance Awards Diplomas in Bricklaying and the Trowel Occupations NVQs. 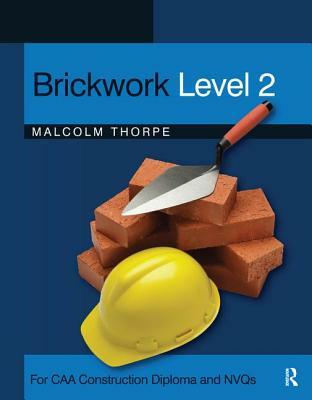 Written by Malcolm Thorpe, who acted as a CITB adviser and was involved in the draughting of the Intermediate Construction Award syllabus (bricklaying route), Brickwork Level 2 matches the latest industry-based requirements and technical developments in the field, including recent changes to the Building Regulations. This text will remain an essential reference for qualified bricklayers and other professionals working in the construction industry, as well as NVQ students wishing to embark on a career in bricklaying.